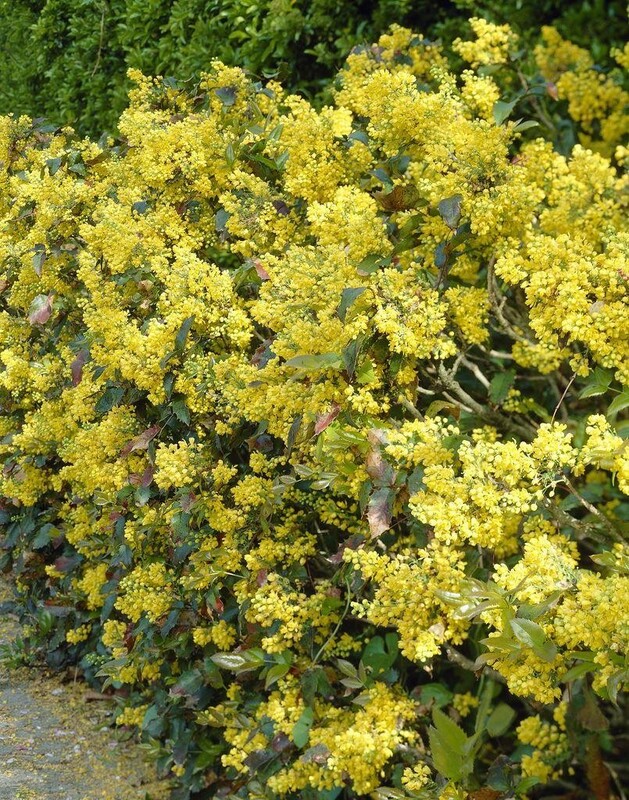 Widely used as ground cover or as a low hedge, this evergreen and has the most beautiful foliage. 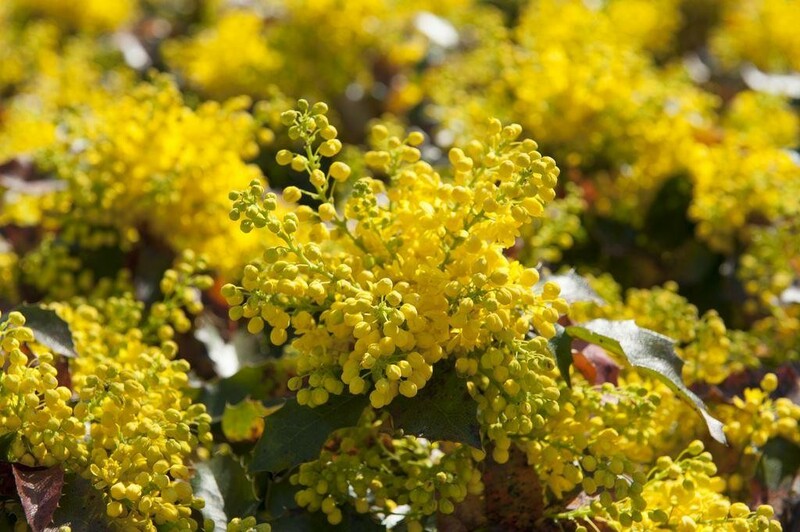 The leaves are generally green but turn to a lovely bronze or purple in the winter months and are followed by bright yellow flowers in Spring, followed by bloomy-blue berries in Autumn. The plant can be grown in sun or shade and is quite drought tolerant, although it does grow best when well watered. 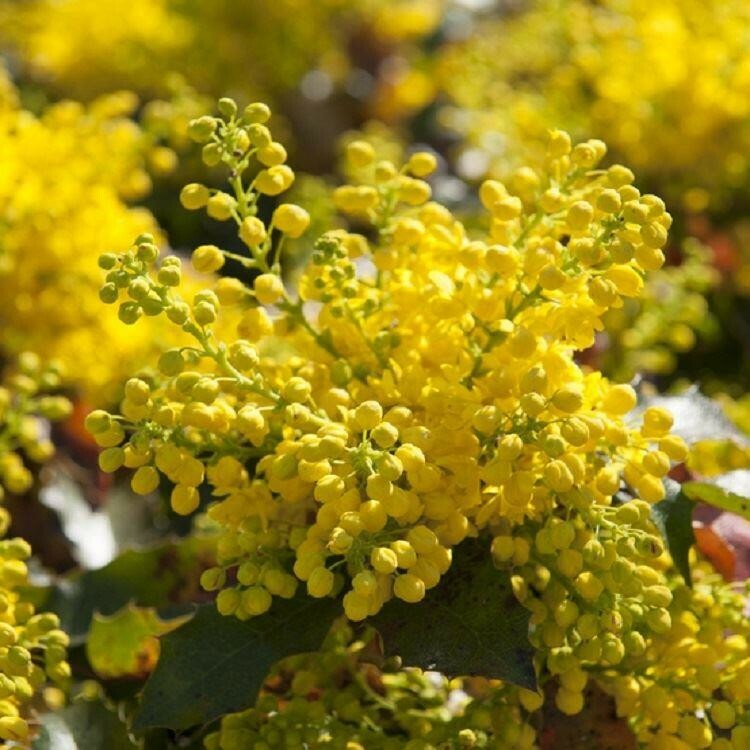 It is easy to take care of and is used widely for landscape purposes as well as being a popular garden shrub. 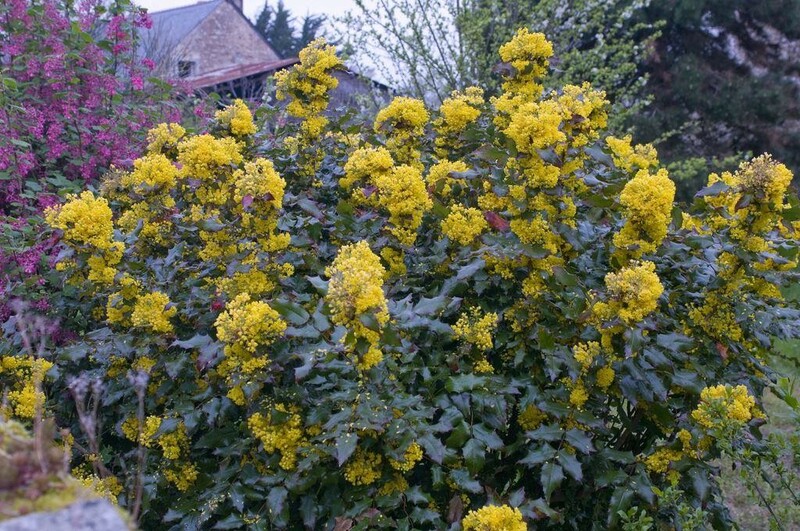 A lovely shrub with plenty to offer - extremely popular. Supplied in 2 Litre containers.